The title of this book does not fully convey the importance of its contents and focus. It provides a variety of perspectives on the Jewish involvement in the British war effort in the Great War. Paula Kitching has achieved this in a very fluent and well-organised manner. We see the fruits of her research into how the British Jewish community participated fully in the war effort but, in doing so, she reveals the attitudinal position of what might be described as the established Jewish community. They felt fully integrated into British society and they shared the values and, in this specific context, the national concerns of the wider community. They demonstrated the same levels of determination to participate and enlist as the wider community because they saw themselves as inherently part of that community. During the course of her analysis she reveals divergences in attitude and philosophy towards the war effort between that established community and those who were descendants of immigrants from Central Europe and Russia, in effect those who had fled the enormity of pogroms and other forms of hostility. They also fought but they held an inherently different political viewpoint. Whereas the established community wanted to protect the freedom and values of British society, where they wished to live and prosper, the newer Jewish population often took the view that their ultimate objective was to live safely in a Jewish homeland. This divergent view became evident in their enthusiasm for a possible life in post-war Palestine. The subtleties of this divergence are drawn very well. The other crucial feature of this presentation is our introduction to the British Jewry Book of Honour. This permanently records the service of all fifty thousand Jews from throughout the Empire. 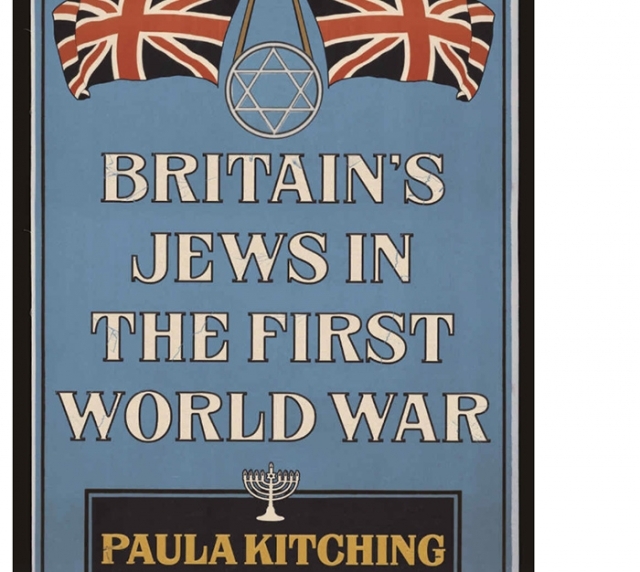 Paula Kitching quotes one of its opening statements where it says: 'British Jews have vindicated once and for all their right to British citizenship’ and she observes that the contents of this book, indeed its very compilation, demonstrates that Anglo-Jewry had proved that they were a dedicated and loyal part of British society. This extraordinary book, based on meticulous research, provides an exceptional insight into the experience of one of our communities during the Great War, a lesson to be learned for all time.